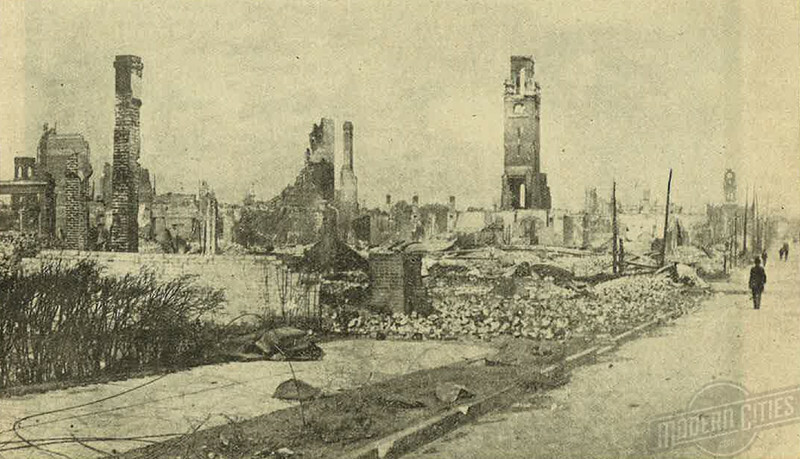 In just over eight hours on May 3, 1901, a small fire, started in a LaVilla mattress factory, would sweep through 146 city blocks of Jacksonville, destroying over 2,000 buildings, taking seven lives, and leaving almost 9,000 people homeless in the process. 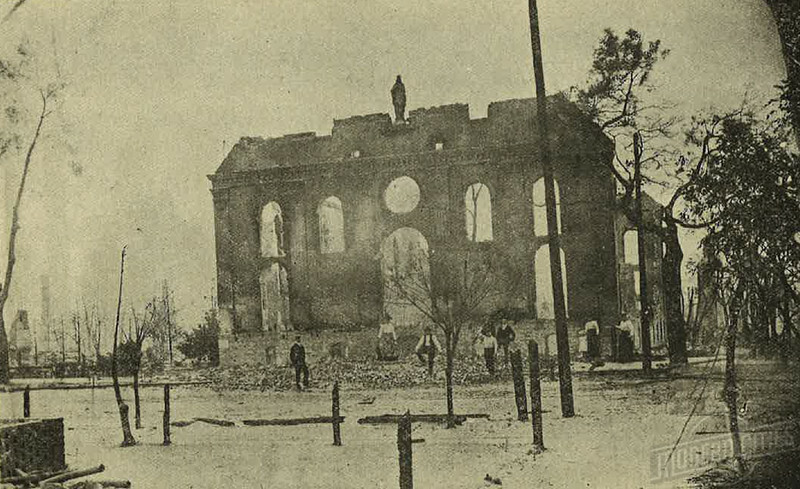 This tragic event would eventually be known as the Great Fire of 1901, the third largest urban fire in American history behind the 1906 San Francisco Earthquake and Chicago Fire of 1871. 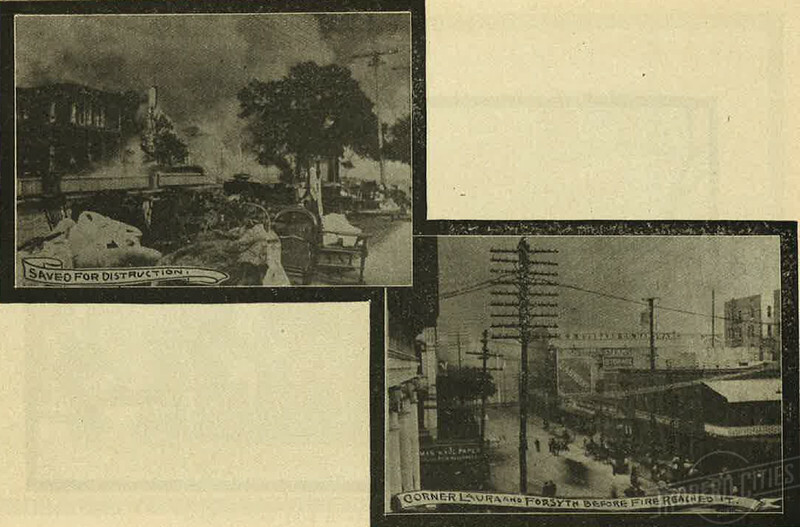 Courtesy of Ron Chamblin at Chamblin’s Uptown, here is a brief visual depiction of the fire’s wrath from Walter S. Wagstaff’s Jacksonville in Flames. Born in Canada in 1853, Wagstaff was a partner in a Jacksonville publication known as the “Southern Tourist” before his death in 1902. 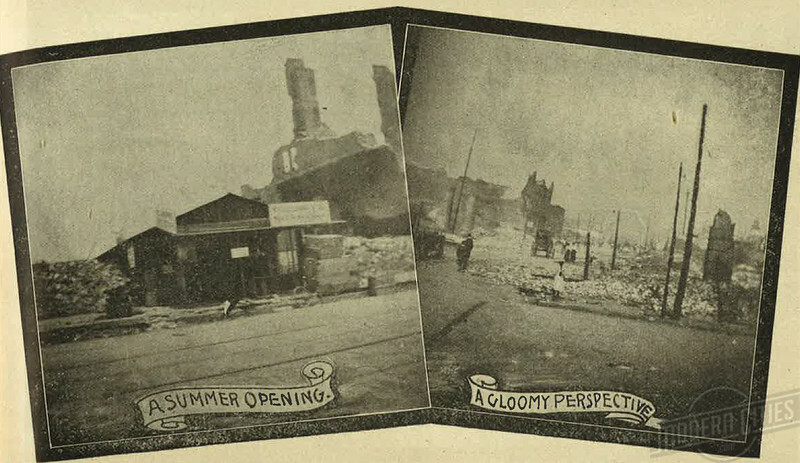 Click here to learn more about the Great Fire of 1901. 1. 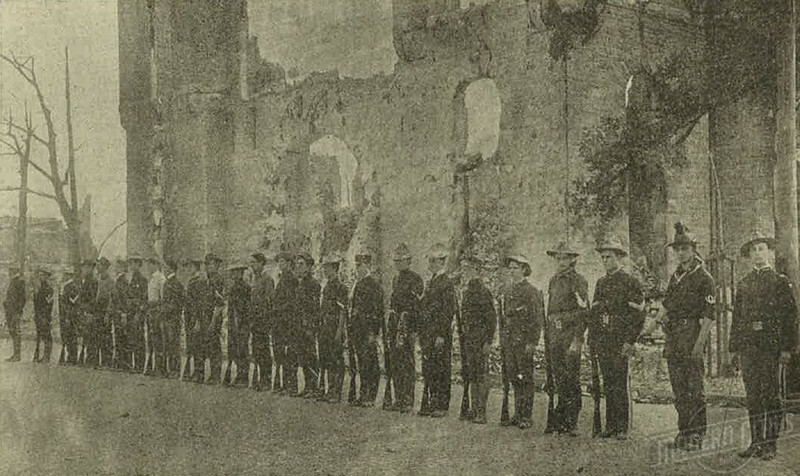 The Jacksonville rifles mustered in front of the armory ruins. 2. Looking north down Hogan Street, at Hemming Park, from the top of the post office building. 3. Images of areas taken right before the fire consumed them. 4. A new business opens in a gloomy environment. 5. 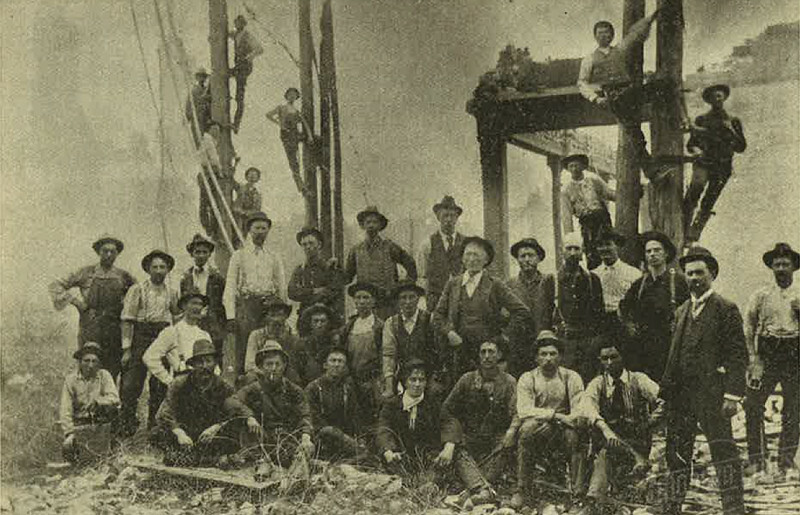 A portrait of the Bell Telephone gang. 6. 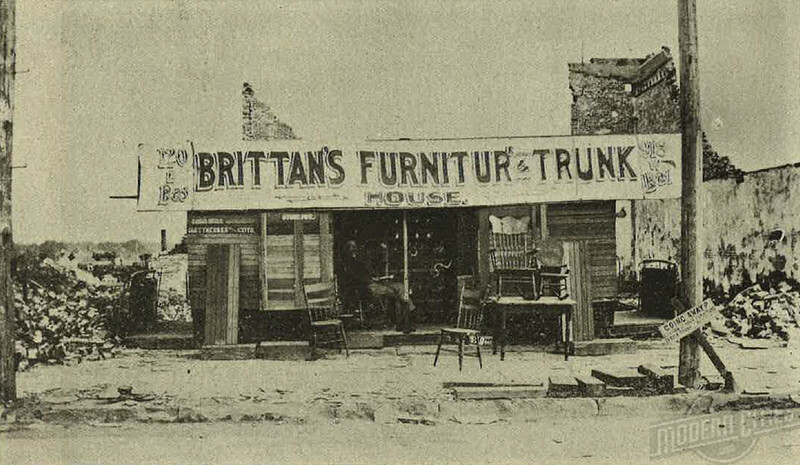 Despite its building being destroyed by fire, Brittan’s Furniture & Trunk House is open for business. 7. The ruins of the Church of Immaculate Conception. 8. 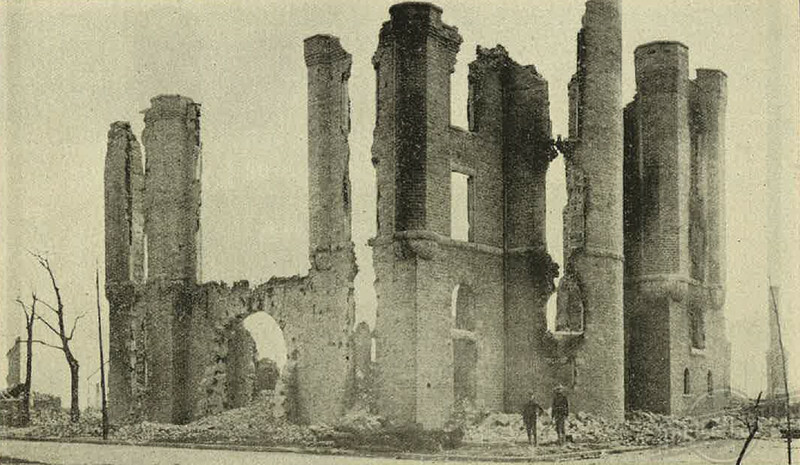 The ruins of the City Building and Market. 9. 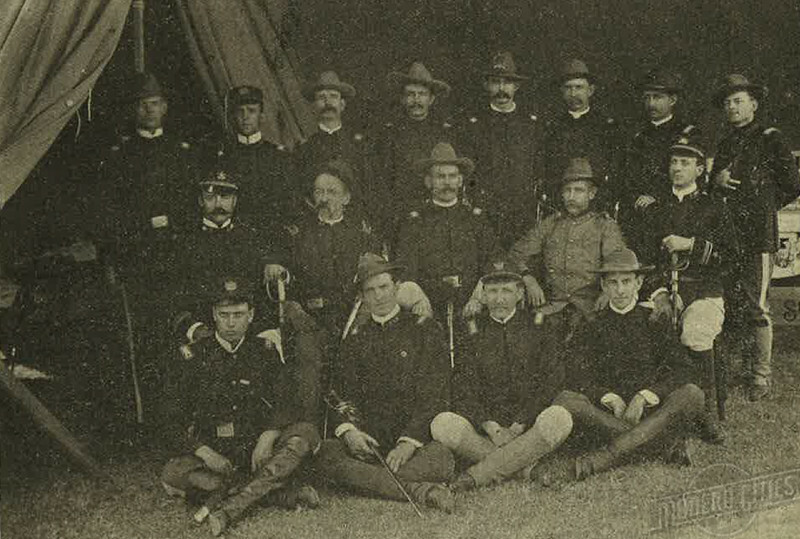 Col. Lovell and staff at headquarters. 10. The ruins of the Duval County Armory.